Back in my Pentecostal days we talked a lot about the power of prayer. We were taught to expect that God would do mighty things, just like in the Bible days. So, if you pray for the sick, you should expect them to recover. If they don’t, then something is wrong with the prayer. Either the pray-er or the pray-ee must lack faith. It’s easy for those in non-Pentecostal circles to make light of such views, but don’t you expect God to answer your prayers for healing by restoring people to health? Why else would you pray? And when someone we’ve been praying for reports back that their cancer has gone into remission or they got that desired job, don’t we rejoice at this answered prayer? 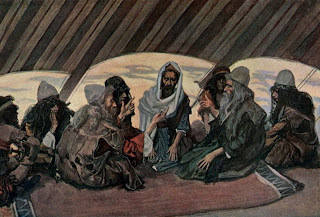 TAKING JESUS AT HIS WORD: What Jesus Really Said in the Sermon on the Mount.Grand Rapids: Wm. B. Eerdmans Publishing Company, 2012. X + 166 pages. The Sermon on the Mount, three chapters of text found in the Gospel of Matthew (and in briefer form and separate location in Luke), is a perennial challenge to Christians. We like pieces of it – especially the Lord’s Prayer, which many of us recite each Sunday – but many other statements are difficult to receive. Oh, we like the words; we just don’t see them being a realistic vision for this life. Maybe in the next life we can love our enemies and turn the cheek, but in this life, especially in places where Christians are the majority, we feel the need to relegate them to a rather spiritual reality. Having preached on this sermon myself, I know the difficulty of receiving the word that is present here, but are we who claim to be followers of Jesus willing to take him at his word? Too many Americans live at or below the poverty line. We claim to live in the richest nation in the world, and the riches that mark America are great, and yet poverty continues to persist in our midst. It affects people living in cities, in rural areas, and even in the suburbs. Yes, there is poverty in Troy, MI, one of the most affluent cities in Michigan. No, it's not as visible as in Detroit, but it's there, largely out of sight. I received word today that my friend, colleague in ministry, and my former Regional Minister, the Rev. Dr. Don Shelton, has died. I write today to give thanks for his life, for his devotion to family and to his faith, his leadership in the church, and his loyalty to friends and family. I reach out to Linda, his wife, and to his family, seeking to share my thanks for his life, while sharing my prayers for them in this time of loss. I don't know the details of when he died or funeral plans, but I would like to share with you my words of gratitude for the life of Don Shelton. This is clearly an individualistic age. Especially in the United States, any hint of collectivism is cause for concern. Sharing power and resources – the idea of redistribution – is difficult to affirm. Americans have long lived with the elixir of individualism. Indeed, my own denominational tradition is built on the premise of individual freedom to interpret and live out the biblical story. As a pastor it’s easy to get caught up in the game of doing it all – you know, if I don’t do it, it won’t get done. Now, individual initiative isn’t a bad thing. The freedom to interpret isn’t a bad thing, but sometimes we forget our kinship with one another. Sometimes we forget that there is power in relationships. Senior Christian statesman Martin Marty is back writing his Sightings column, offering words of wisdom that we need to hear with regularity. So, here we have his wry take on the recent hullabaloo over whether Jesus had a wife. You may have heard the news -- there's a fragment of a supposed Coptic manuscript that features the words Jesus and wife, and thus the debate begins. For many of us, this is really a non-issue. The canonical texts don't speak of a wife, but what if he did? Well, as Marty notes -- as with most things relating to Jesus' identity, this one will like fade into history as fast as it emerged, but for now it's a cause célèbre! The Energion Political Roundtable has reached round six, which as you’ll see focuses on the question of Medicare. My conversation partners are – Allan Bevere, Elgin Hushbeck, Joel Watts, and Arthur Sido. You can check out their responses, and if I have opportunity I’ll share my own responses. 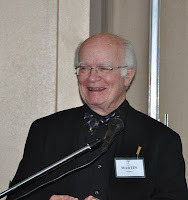 So, on to the question posed by our publisher Henry Neufeld. Here in Florida we're getting a lot of political ads. One of the key topics in both the Senate race between Connie Mack and Bill Nelson and in the presidential race is Medicare. How would you evaluate the plans that each presidential candidate has for Medicare? Should senior citizens be concerned? The Christian Church (Disciples of Christ), the denomination in which I have my ordination and in whose churches I have and continue to serve as pastor, has as it's "motto": "We are a movement of wholeness in a Fragmented World." This motto not only serves to restate our founding vision of being advocates for Christian unity, but pushes the imagery further to envisioning our role in God's work of bringing wholeness to a world that is fragmented by ethnic, linguistic, social, cultural, religious, economic and political differences. But what does wholeness involve? What does it look like?